From Fast and Furious to the 9/11 mastermind, Holder's most-disputed moves. camera (Julio Cortez / AP Photo) U.S. Attorney General Eric Holder delivers a keynote speech at New York University's law school, Sept. 23, 2014, in New York. intro: Almost as soon as he was confirmed, it was clear that Attorney General Eric Holder’s tenure would be beset by controversy. In February 2009, his provocative statement -- “in things racial we have always been and I believe continue to be, in too many ways, essentially a nation of cowards” -- roiled many. As one of President Obama’s longest-serving and most-trusted advisers, Holder, who today announced he would step down from the post he has held for five-and-a-half years, has long been a favorite punching bag for the right. Here’s a look at the five biggest controversies during his time at the Justice Department. As one of president Obama’s longest-serving and most-trusted advisers, Holder has long been a favorite punching bag for the right. quicklist:1 title:9/11 MASTERMINDS text:If Holder had his way, Khalid Sheikh Mohammed, the mastermind of the Sept. 11 terrorist attacks, might now be on death row. But staunch political opposition to Holder's plan to prosecute Mohammed in a Manhattan civilian court prevented the attorney general from carrying out what he thought was a “highly-detailed, formidable case” in a federal court just blocks from Ground Zero, which would have intensified the trial even more. Instead, Mohammed is still waiting in Guantanamo Bay after Holder shifted his case to military courts at the detention center in 2011, bowing to legislation that bars Guantanamo inmates from traveling to the U.S.
quicklist:2 title:MONITORING THE PRESS text:Among a number of controversies during his tenure involving journalists, Holder had to temper public anger in 2013 over the Justice Department’s seizure of Associated Press phone records resulting from an AP article in May 2012. Holder believed the article on a terrorist plot in Yemen threatened American security, and defended the Justice Department’s need to vet the AP correspondence. The president of The Associated Press claimed he kept the story from publication until government officials had confirmed there were no national security concerns that could have resulted from the article, and White House secretary Jay Carney insisted President Obama remained a faithful guardian of First Amendment rights. quicklist:4 title:GAY MARRIAGE text:In 2011, the attorney general said he won’t defend Defense of Marriage Act (DOMA) which rules that federal interpretation of “marriage” applies only to heterosexual couples. Last year, Holder told ABC News, “From my perspective, [gay marriage] is really the latest civil-rights issue.” So when six state attorneys general said they would not defend laws that ban gay marriage, Holder did not step in. Instead, Holder said they didn’t have to defend the laws if they believed they were unconstitutional. quicklist:5 title:DRUG CRIMES text:In 2013, Holder modified the Justice Department’s sentencing policy for low-level, drug-related crimes out of belief that they were discriminatory and destabilizing. 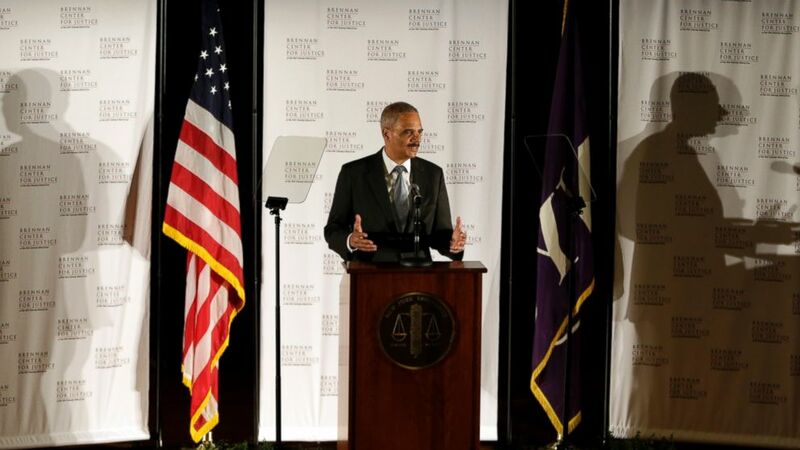 “Let’s be honest: Some of the enforcement priorities that we have set have had a destabilizing effect on particular communities ... largely poor and of color, and [have been] applied inappropriately,” Holder said in a speech.